Dona Flor is one of the most beloved heroines in all of Brazilian literature, and came to life through the pen of Jorge Amado in his 1966 novel, Dona Flor e Seus Dois Maridos (Dona Flor and Her Two Husbands). 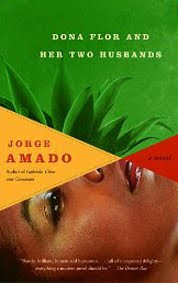 Amado is probably the best-known contemporary Brazilian author of fiction, and his novels are read around the world. Dona Flor has been translated into over forty languages, and many non-readers know her through the brilliant film of the same name, directed by Bruno Barreto and released in 1976. The beautiful Brazilian actress Sonia Braga became a world-wide star by her sensitive and extremely sensual portrayal of Dona Flor. 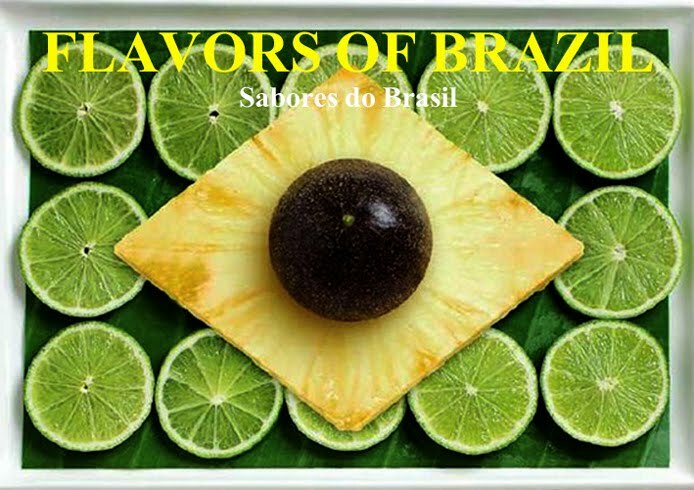 In the novel, which is set in Salvador, Bahia in the 1940s, Dona Flor is the owner of a cooking school, called Flavor and Art Culinary School. Though the product of a strict, Catholic middle-class upbringing, she has scandalized her family and friends by marrying a local reprobate gambler and womanizer, Vadinho, with whom she is passionately in love. The novel begins with Vadinho's death, early one drunken morning of Carnaval, which leaves Dona Flor a heartbroken widow in her mid-twenties. Forced to support herself, and to pay off her beloved Vadinho's gambling debts she throws herself into her work at the cooking school. In the novel, each section is opened by a recipe written by Dona Flor, or by a lesson from one of her cooking classes. The recipe that follows is for Moqueca de Siri-Mole and it combines a very usable recipe for this traditional soft-shelled crab dish from Bahia with Flor's pain-ridden memories of cooking this dish for Vadinho. I have translated the text from Amado's original Portuguese. To read the recipe, just click on "read more" below. Ingredients (for 8 persons): One cup of coconut milk, pure, without added water; one cup of dendê oil; one kilgram of siri-mole; juice of one lime. For the sauce: three cloves of garlic; salt to taste; cilantro, parsley, green onion; two onions; one-half cup vegetable oil; one green bell pepper; one-half kilogram of tomatoes. For later: four tomatoes, one onion; one green bell pepper. Grate the two onions, mash the garlic cloves with a mortar and pestle; onion and garlic won't hurt you, no, ladies, they are fruits of the earth, perfumed fruits. Finely chop the cilantro, the parsley, some tomatoes, the green onion and half a green pepper. Mix all these in the vegetable oil, and reserve this sauce of succulent flavors. Wash the siri-moles in water with the lime juice added, wash thoroughly, wash again to clean out the sand without removing the taste of salt-air. And now to season them; dip them one at a time in the reserved sauce, then place in a frying pan, arranging them side by side. Pour the rest of the sauce over them, very slowly, as this dish is delicate. Place the four remaining tomatoes, the onion and green pepper, all sliced, on top of the siri-mole to add a touch of beauty. Cover the frying pan, and let all rest for two hours for the flavors to blend. Then place the frying pan on the stove to cook the siri-moles. When the dish is almost cooked, and only then, add the coconut milk and at the very last minute, just before removing the pan from the stove, add the dendê. So this is this fine dish, of the highest quality, real haute cuisine, and anyone who makes it can rightfully praise herself for being a first-rate cook. If you don't have the skills to make it though, it is better to desist; not everyone is born an artist of the kitchen.